Gil La-im daddy Jung In-gi was cast in the drama "The Duo". Jung In-gi acts as someone who changes the destiny of Chun Jung-myung and Lee Sang-yoon in the new MBC drama "The Duo" which is due to be on screens this coming 7th. Jung In-gi, who showed up at the set interviewed, "In the previous drama, I changed the destiny of the two lead characters but this time, I am changing the fate of two men for the woman I love, Mak-soon (Yoon Yoo-sun). He continued that he will meet viewers not as La-im's dad but he hopes he will always be a remembered actor no matter what appearance he is. Meanwhile, Jung In-gi has played a secret role in changing the souls of Hyun Bin and Ha Ji-won in the recently finished SBS drama "Secret Garden" and the first episode of "The Duo" will be broadcasted this coming 7th at 9:55PM. 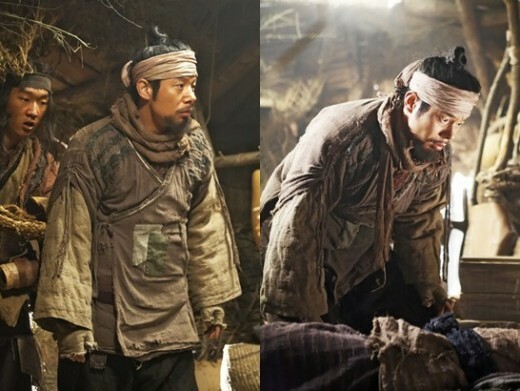 "'Gil La-im' daddy Jung In-gi, active role in 'The Duo' as destiny changer"